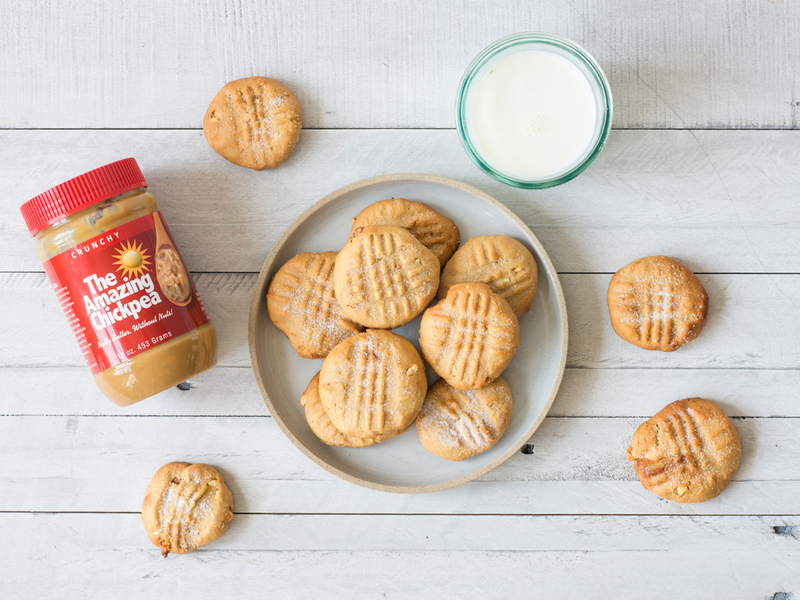 Classic Peanut Butter Cookies with a twist: using The Amazing Chickpea Butter as a nut-free alternative! Your kids will love these tasty cookies! Preheat the oven to 350 degrees and prepare your cookie sheets with parchment paper. In a large mixing bowl, cream the chickpea butter and honey until completely mixed. Mix in egg and vanilla. In a separate bowl, mix flour, baking soda, and salt. Slowly add into the creamy mixture until a dough is formed. Using a tablespoon, serve out dough and roll between hands until a ball is formed, placing each on your prepared cookie sheet. 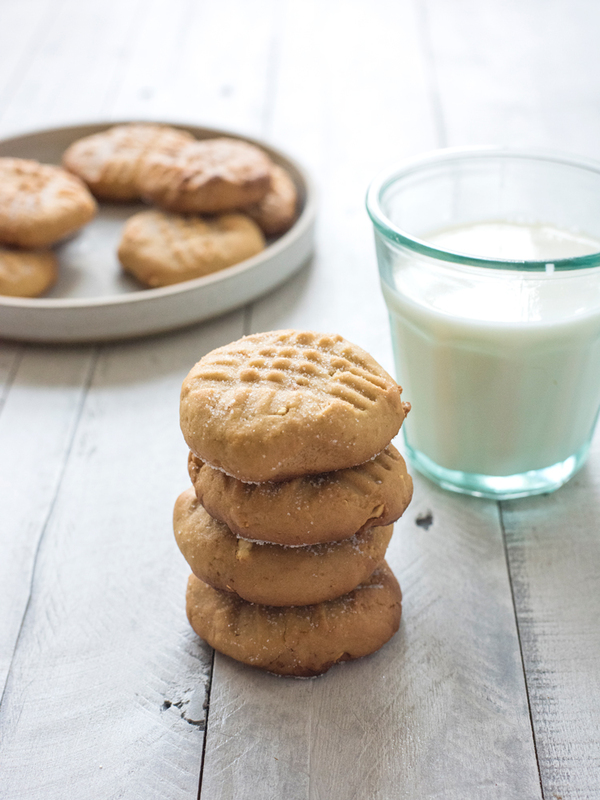 To get the famous butter cookie look, lightly press down on cookie with a fork until impression is formed. Place the cookies in the oven for 10-12 minutes or once lightly browned. Remove from oven and place on wire rack immediately to cool. Once on cooling rack sprinkle sugar over them for added sweetness.